Remember sitting on your bed as a teenager, experimenting with makeup with your BFF? 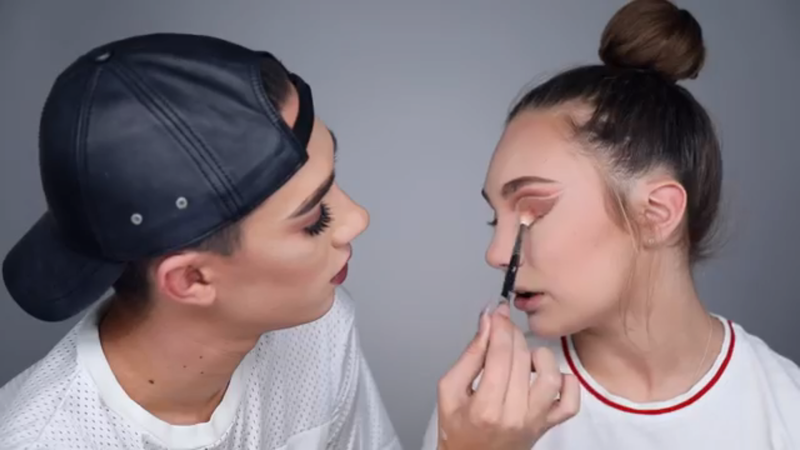 That’s kind of what it feels like when you watch CoverBoy James Charles makeover Maddie Ziegler — except way more glamorous! The two talented teens came together for a YouTube makeup tutorial after becoming friends on Instagram. 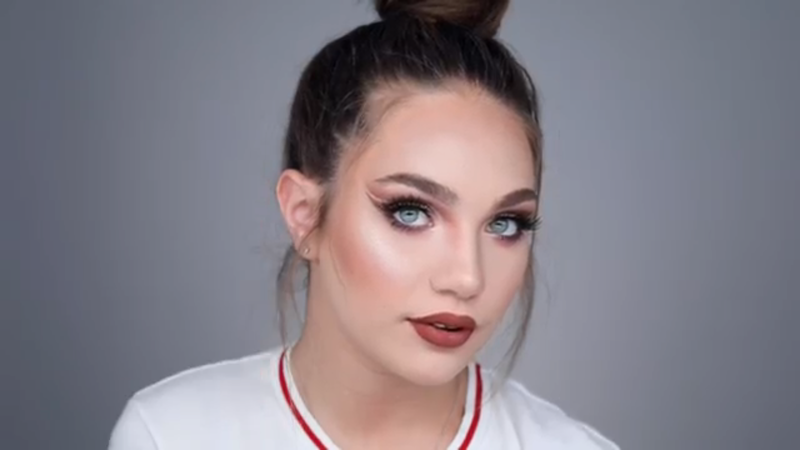 In the video, James strayed from Maddie’s normally natural makeup to do a full face. That full face included a sculpted base, double cut crease, lashes, and a vampy lipstick. We think Maddie looks completely gorgeous with Charles’s signature bold style! During the video, we definitely picked up some new tricks. Using Shape Tape as eyeshadow primer AND in between creases? Genius! 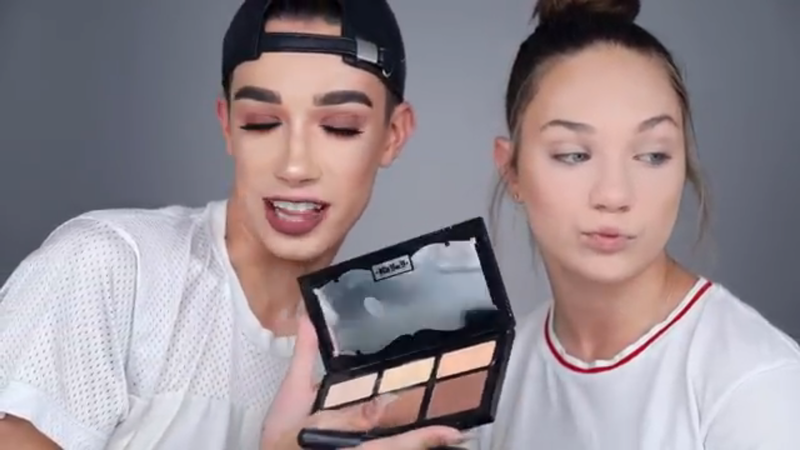 James Charles totally made Maddie Ziegler into his ultra-glam twin! During the makeover, James used brushes from Morphe, Sigma Beauty, and MAC. He also uses products from Make Up For Ever, Kat Von D, Benefit, and Anastasia Beverly Hills. First, James spritzed a base of Pixi Glow Mist, and then used Make Up For Ever Cover Stick Foundation and Tarte Shape Tape concealer. Next, he used Benefit’s Hoola and Kat Von D’s Shade and Light palette to sculpt Maddie’s face. Next he did a double-cut crease using MAC shadows on both of her eyes, using Shape Tape as a primer. 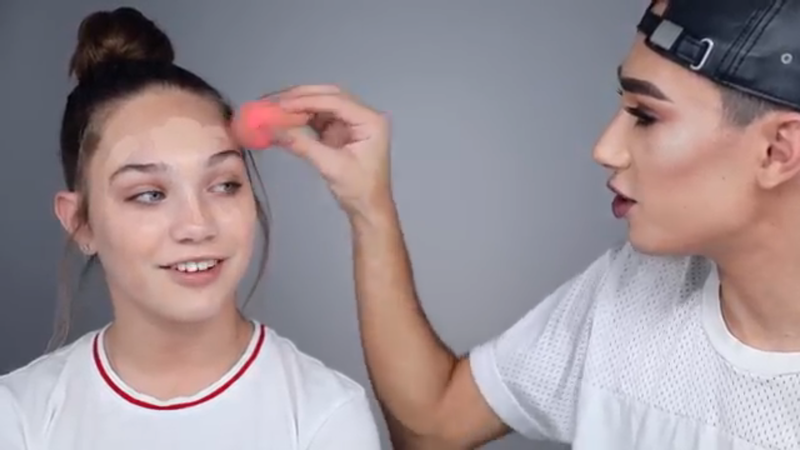 James used The Balm Mary-Lou Manizer to highlight sections of Maddie’s face. Finally, he used Anastasia Beverly Hills liquid lipstick to complete the lewk. Watch the entire transformation in detail below! We think Maddie should switch up her usual bronze event makeup and totally try the James Charles look on her next red carpet!